them to the Holy Spirit, and hear the cry of the little ones who plead for justice. He said that the people of God expect more than simple and predictable condemnations, but concrete and effective action. The Pope prayed to the Holy Spirit to sustain the Church throughout these days, and to help us to turn this evil into an opportunity for awareness and purification. May the Virgin Mary enlighten us as we seek to heal the grave wounds that the scandal of paedophilia has caused, both in the little ones and in believers. As our evening Alpha Course is full, we are considering a second course following 10.00 am Mass on Thursday mornings starting on 7th March, the first Thursday in Lent, and continuing for ten weeks. Each session will start at 10.45 am with tea/coffee and finish at 12.15 pm sharp. The new video material is really very good, and we are confident that those who have completed Alpha in recent years will also enjoy and benefit from this course. If you are interested, please contact Br. Andrew at 086-1522160. 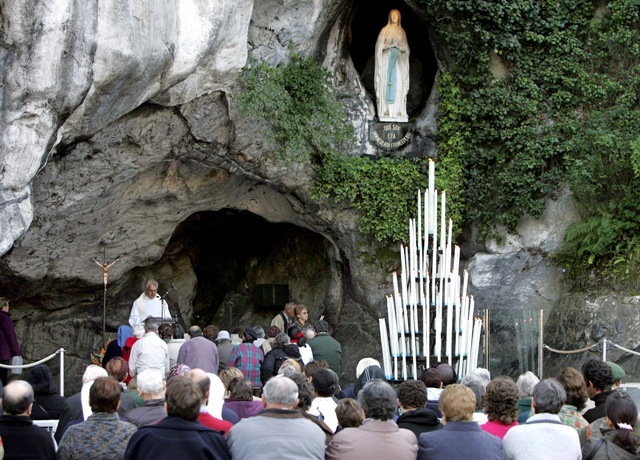 Cork & Ross Pilgrimage to Lourdes 2019 10th – 15th June – 5 nights Full board. Booking forms for pilgrims available from: Joe Walsh Tours, 117 Patrick Street, Cork, telephone: (021) 4277959. Enquiries for Special Sick/Assisted Section should be directed to the Pilgrimage Director, V. Rev Canon James O’Donovan, Parochial House, Ballinlough, Cork, telephone (021) 4292296. If you would like to participate in this pilgrimage as part of a Turners Cross Parish Group, please give your name to one of the Priests. The Diocese of Cork and Ross invites young adults 18-25 to join the pilgrimage to Lourdes as helpers from 10th to 15th June. As helpers you will assist with the sick and be involved in the full pilgrimage programme – time for prayer, sharing in the story of Lourdes and making new friends. Limited number of places – for further Details contact Fr Charlie Kiely on 021 4537474. Anam Cara Cork, the organisation that supports bereaved parents, is holding a Parent Evening on Wednesday 6th March at 7:20pm in the Clayton Silver Springs Hotel. This event is free and open to all bereaved parents. More information at anamcara.ie or call 085 2888 888. Chronic Lymphocytic Leukaemia (CLL) Ireland are holding an information and support event for patients and their family members at the Clayton Silver Springs Hotel on Saturday, 2nd March from 1.30 – 4.30pm. Register on http://www.clli.ie or contact Annemarie at 086-4115195. HOLY HOUR TO PRAY FOR VOCATIONS on Wed. 27th February from 3:00pm to 4:00pm at the Presentation Convent, Pearse Road, Ballyphehane. All are welcome – prayer followed by tea/coffee. Centre. Address by Dr Dan O’Connell, f Mary Immaculate College, Limerick, a parent, parishioner and professional educator. His address will be followed by a workshop on how to use the YOUCAT series in your parish, home, school as tools for handing on the faith. Open to all – parents, parishioners, teachers, clergy, religious. Contribution €5 per person to include workshop handbook. Reservations on 021 4537474 or pdo@corkandross.org. Six Wednesday evenings from 6th March 7.30pm – 8.45pm in SMA Community Centre, Wilton. All welcome, including parish faith formation personnel / teachers / parents / young adults. Contact Máirín Ní Shúilleabháin on 087/7950325 or mairin991@gmail.com for details. Cork Simon’s Coffee Morning Organise a coffee morning or afternoon tea during March in your workplace, school or home and help fight homelessness in Cork. Everything you need to organise your gathering is available from CSM, contact Margaret on 021 4929415 for your pack. Anointing of Sick: Saturday 2nd March after 10.00 am Mass. Consider offering a lift to a housebound neighbour. First Friday: Fr. Billy will visit the sick and housebound during the week. If you would like a visit please contact us. 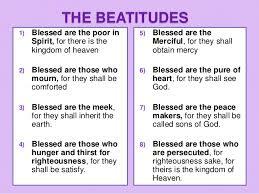 In today’s gospel reading we hear St Luke’s beatitudes, echoing the beginning of Jesus’ Sermon on the Mount in the gospel of St Matthew. In Luke there are four blessings, with four corresponding woes. They remind us that God’s ways are not our ways and that as Christians we are called to a value system very different to that of our prevailing culture, very different from that of any worldly culture. They also reflect something of Jesus’ own life on earth. He experienced poverty and hunger, he knew grief and he experienced rejection as he was persecuted even to death. As his followers, we may expect to share some of these experiences, and as we do, he tells us that we are blessed, that our reward will be great in heaven; and in this life he gives us his peace, a peace which the world cannot give. As our evening Alpha Course is full, we are considering a second course following 10.00 am Mass on Thursday mornings starting on 6th March, the first Thursday in Lent, and continuing for ten weeks. Each session will start at 10.45 am with tea/coffee and finish at 12.15 pm sharp. The new video material is really very good, and we are confident that those who have completed Alpha in recent years will also enjoy and benefit from this course. If you are interested, please contact Br. Andrew at 086-1522160. Cork Alzheimers Café, a safe place for people with Alzheimers and other dementias, their carers, family and friends to meet together and with social and health professionals. Last Friday of each month 1.30 – 3.30 pm in St Finbarr’s Hospital, Douglas Road. Light refreshments, all welcome, next meeting on Friday 22nd February. God says to Jeremiah and to us, brace yourself, I will make you strong; I have called you, and I am with you. Our Christian calling is not easy, but as we respond, God is with us. 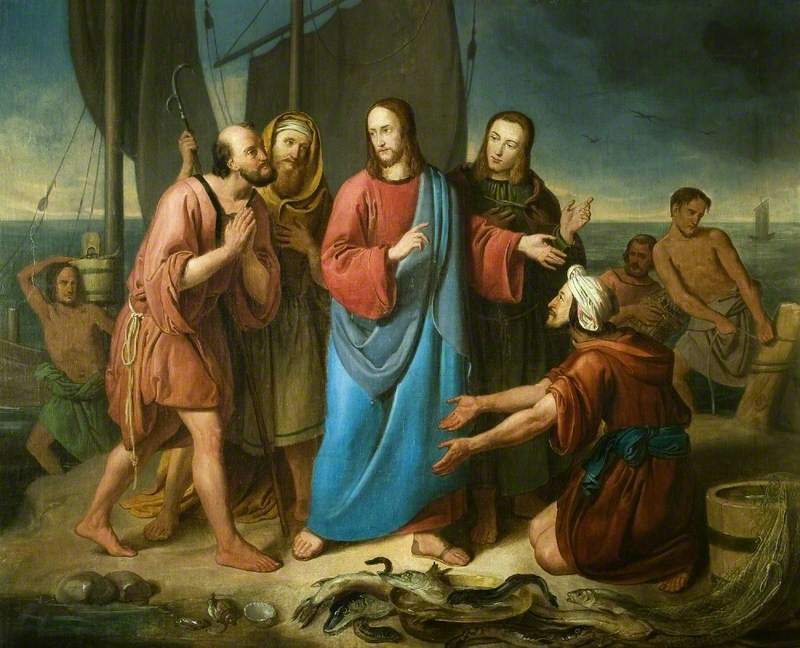 The people in Nazareth were impressed with Jesus’ gracious words, but were not going to let him get above himself, “sure this is Joseph’s son.” Jesus anticipated their rejection when he remarked that no one is a prophet at home, and then reminded them that that God’s help was given to a widow in Sidon and a Syrian leper when there were many widows and lepers in Israel. His message of openness to all was angrily rejected. The challenge for us is have an open and loving attitude to everybody, to those who are different, those of other religions, social backgrounds or race, those of whom we don’t approve because of lifestyle or political viewpoint. To be open to others requires a certain strength of character, and at times is not easy. So we brace ourselves, knowing that the God of love is with us. Death: We pray for Kathleen (Kay) Cruise, Fr. Mathew Road, who died recently. We extend our sympathy to her family. Diocesan Pilgrimage to Lourdes Collection to be taken up at all Masses next weekend 9th/10th February subsidises individuals whose health and/or means would otherwise prevent them from travelling to Lourdes. It also subsidises the travel of essential care personnel. Feast of St Blaise – The traditional blessing of throats will take place on Monday February 4th (transferred from Sunday) after the 10.00 am and 6.00 pm Masses, note the extra Mass at 6.00 pm. The Turner’s Cross Parish Alpha Course began last Wednesday and continues on Wednesday evenings in the Parish Centre from 7.30 pm to 9.00 pm for ten weeks until April. This is an opportunity to explore faith and the meaning of life in a friendly environment. There is no charge for the Alpha Course and everyone is welcome, feel free to join us even if you missed the opening session. South Parish Historical Society – monthly meeting Wednesday 6th February at 7.30pm in St. John’s College, Sawmill Street. Sandra McAvoy will talk on “Cork Women and the Fight for the Vote”. All Welcome, Fee €3 non-members. Anam Cara Cork Bereavement Information Evening on Wednesday 6th February at 7:20 pm in the Clayton Hotel, Silver Springs. This is a free event and open to all bereaved parents. RSVP to info@anamcara.ie, before Tuesday 5th Feb or call 085 2888 888. Death: We pray for Tim Looney, late of Summerhill South who died recently. We extend our sympathy to his family. Do this in Memory First Holy Communion preparation Mass this Sunday 27th January at 10.00 am. Family Mass: The 12 o’clock Mass on this Sunday is the second of our monthly series of “Family Masses,” in which we acknowledge the importance of families in the life of our parish and of the Church. 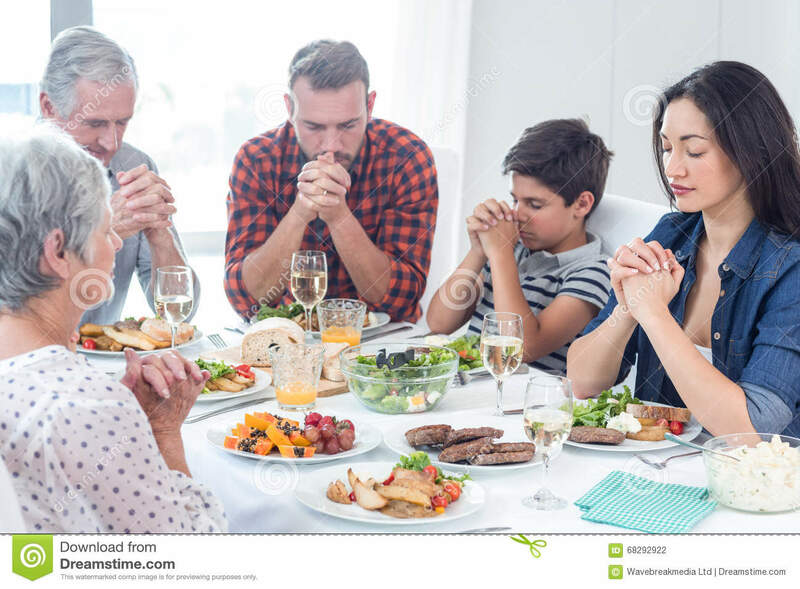 We ask members of a particular family to participate in the Mass as a family unit, as a reminder that the family is the “domestic Church” and a reflection of God’s love which brings joy to the world. Anointing of the Sick on Sat 2nd February after 10am Mass This month Anointing of the Sick will also take place on Monday 11th February, “World Day of Prayer for the Sick,” and Memorial of Our Lady of Lourdes, after the 10.00 am & 6.00 pm Masses (note extra Mass). Refreshments in the Parish Centre on Monday 11th February, courtesy of the Parish Assembly after the 10.00 am Mass. Consider offering a lift to a neighbour who may be housebound. Wednesday 30th January. The course will be led by Br Andrew Hickey of the Presentation Brothers Community in Turner’s Cross. Wednesday evenings from 7.30 to 9.00 pm at the Parish Centre. This session caters especially for young adults (20’s – 30’s), but all are welcome regardless of age. Alpha is for everyone; no question is out of bounds and you are free to discuss as much or as little as you wish. You don’t have to commit to the whole course – come along for the first night and see what you think. 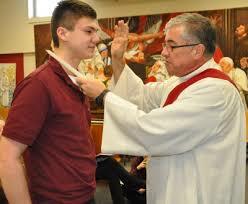 Mass on this Sunday (the Do This in Memory Mass). You are welcome to join us for this, and a cup of tea, if you have time. Feast of St Blaise – The traditional blessing of throats will take place on Monday February 4th (transferred from the Sunday) after the 10.00 am and 6.00 pm Masses, note the extra Mass at 6.00 pm. Confessions: Saturdays after the 10.00 am Mass & after 6.00 pm Vigil Mass, or ask one of the priests at any time. St. Mary’s Pope’s Quay weekend of healing and intercession with Fr. Pat Collins CM. A talk at 7.30 pm on Friday 1st February. Vigil Mass and healing service at 6.00 pm on Saturday 2nd February Prayer and Preaching at 4.00 pm on Sunday 3rd February. Anam Cara Cork Bereavement Information Evening on Wednesday 6th February at 7:20pm in the Clayton Hotel, Silver Springs, Tivoli, Cork. This is a free event and open to all bereaved parents. As Anam Cara will need to confirm numbers for teas, coffees, etc, please RSVP to info@anamcara.ie before Tuesday 5th February or call the Information number on 085 2888 888. 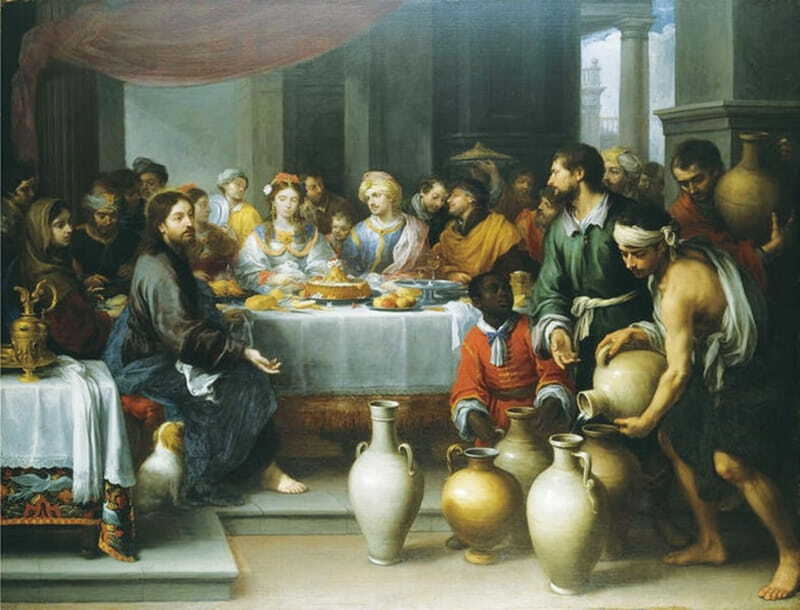 WATER into WINE In the honour/shame society of Jesus’ tim e, running out of wine at the wedding at Cana was a family calamity. Jesus tells his mother that his hour has not yet come, yet she persists in her request, quietly confident. 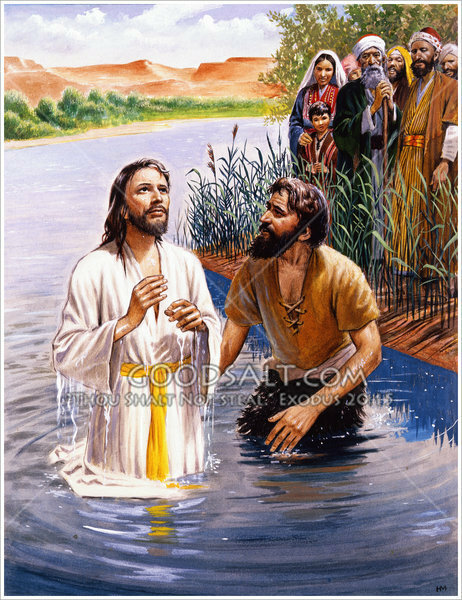 Jesus restores life and joy by taking ordinary water and changing it into extraordinary wine. The Church is the bride of Christ, at times of darkness we ask for wedding joy, that the Lord may restore us and indeed rejoice over us. Each of us may dare to hope that the Lord will take the muddy waters of our lives and change them into wine. We pray for reliance on the intercession of Mary, given to us as our mother by Jesus as he hung dying on the Cross. may dare to hope that the Lord will take the muddy waters of our lives and change them into wine. We pray for reliance on the intercession of Mary, given to us as our mother by Jesus as he hung dying on the Cross. “I attended my first Alpha Course in 1995, with some reluctance, I must admit. I found to my surprise that it was friendly and enjoyable. It explored the faith in a “non-Churchy” and adult way. I have been involved in Alpha Courses ever since. Alpha is for everyone; no question is out of bounds and you are free to discuss as much or as little as you wish, and everyone is welcome. You don’t have to commit to the whole course – just pop along for the first night and see what you think. Death: We pray for Brother Matthias Comyns, Presentation Brothers, Maiville Terrace, who died recently. We extend our sympathy to his family and community. Diocesan Quarterly Collection at all Masses this weekend, 19th /20th January to support the work of the dioceses. 18th – 25th January. Service of Prayer for Christian Unity on Sunday 19th January at 7.00 pm. in St Columba’s Church, Douglas. As we can look forward together to the coming year, we may reflect on the role of the Parish in our lives. Last year was a difficult year for the Church and for faith in Ireland and it is clear that there are problems ahead. If we ignore those problems and do nothing, then nothing will happen, and the slow decline will continue. The Alpha Course is a first step in our programme of Parish Renewal for 2019. The Parish Assembly is committed to consultation with the various Parish Ministries and with the wider Parish in the period up to Easter of this year. We will consider in prayer what practical steps are open to us as a Parish to be faithful to the mission the Lord has given to each of us. “Do this in Memory” Mass next Sunday 27th January at 10.00 am. Meeting of parent class representatives on this Monday 17th January with Catechist Bernadette Hegarty at 7.30 pm in the Parish Centre. Accord Bantry Marriage Preparation Courses 2019. For bookings, please contact Course Facilitator Mary McCarthy at 085 1215984. Cork Alzheimers Café is a safe place for people with Alzheimers and other dementias, their carers, family and friends along with social and health professionals to meet. Last Friday of each month 1.30 – 3.30 pm in Activity Centre St Finbarr’s Hospital, Douglas Road. Light refreshments provided free of charge. Next meeting Friday 25th January 2019. All welcome. There are many families and individuals whose contribution to parish life is essential and immense. Through their quiet and unnoticed work, the Parish runs smoothly and parish life is enriched. As 2019 dawns we would like to thank you for your help and support. 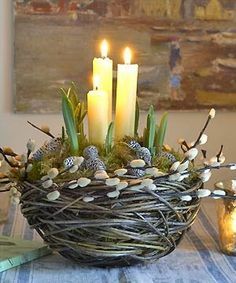 Those to whom special thanks are due include those who care for the Church and clean it every week, look after the flowers and altar linens; those who put up the Crib, Easter and Remembrance Gardens and decorate the sanctuary so beautifully. those who help in administration, the Sacristan, members of the Parish Finance Committee, the Safeguarding Representatives, the Church Collectors and Parish Dues Area Collectors. Special thanks are due this year to Sharon O’Sullivan and Sheila Anne Twomey who worked so hard on the renovation of the Parish Centre. those who help in the Parish Pastoral Mission, members of the Parish Pastoral Assembly, our Parish Catechist Bernadette Hegarty, our parishioner Deacon Frank McKevitt, our Ministers of Word and Eucharist, the Altar Servers and their Parents, the Choir and the Parish Funeral and Baptismal Teams, and Sr. Karen and Fr. Charlie from the Pastoral Development Office who have been so helpful. The congregation for your generosity in the offertory collection each week for the upkeep of the Church and payment of staff. We thank all who contributed so generously during 2018 to Trocaire Christmas Gift Cards, to the Trocaire Lenten Campaign, and to all the special collections. Thanks also to Christ the King Conference of the Society of St Vincent de Paul, to St. Joseph’s Young Priests Society and the Legion of Mary. 2019 Parish Calendars are available at the back of the church. Please consider taking one for a housebound neighbour or friend. Turner’s Cross Parish Alpha 2019 starts on Wed. 30th January. Sessions begin with some hot food – come along on the first evening and see what you think! Each Alpha is limited to 20 people. Alpha is a 10-week experience covering such topics as Who is Jesus? Why did Jesus die? How does God guide us? and Why and How do I pray? Alpha is relaxed, non-threatening, low key friendly and fun. Alpha can help us to deepen our relationship with the Lord. We begin every session by chatting with one another over a cup of tea/ coffee. Then we watch a DVD and hear an interesting talk. After that we divide into groups and discuss some of the questions relevant to the teaching. I found a community that I did not know was available to me as a young person. I have friends for life now. Alpha is free – so why not come along and give it a try. New Year is a time for reflection and of course New Year Resolutions. Some of us tend to make the same resolutions we made last year, and hope for a better hit rate this time around. As a parish we can look forward together to 2019, and reflect on the role of the parish in our lives. 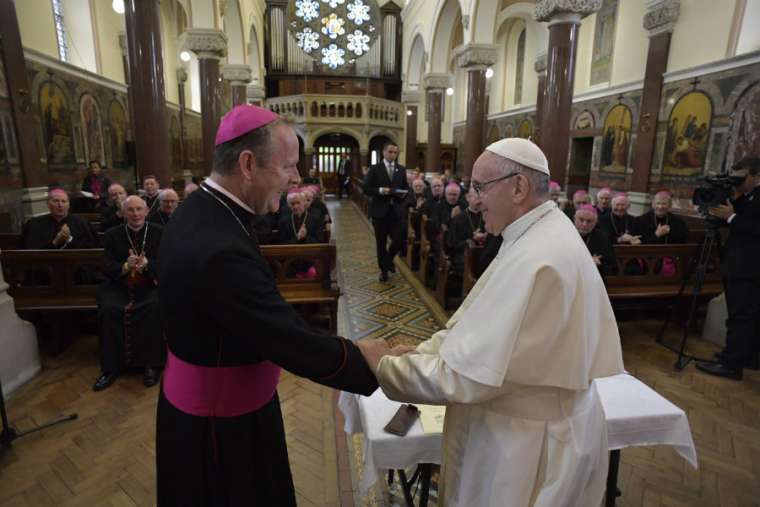 Last year was a difficult year for the Church and for faith in Ireland and it is clear that there are problems ahead. If we ignore those problems and do nothing, then nothing will happen, and the slow decline will continue. So, what should we do, what can we do? 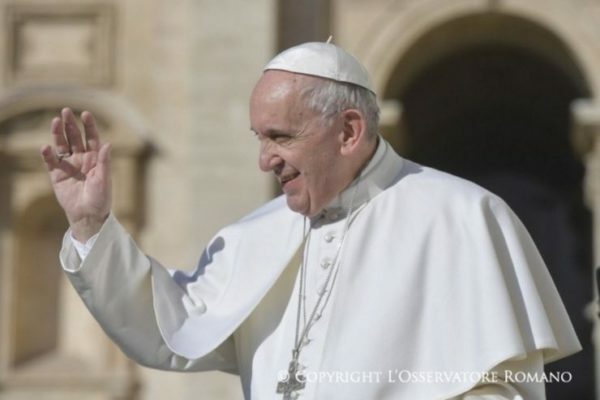 Perhaps for a start we might consider making a new year resolution to take up Pope Francis’ invitation of a few years ago: I invite all Christians, everywhere, at this very moment, to a renewed personal encounter with Jesus Christ, or at least an openness to letting him encounter you. Jesus says to us: you shall be my witnesses (Acts 1:8), and we are called to be witnesses of God’s wonderful love. In the period up to Easter of this year we will consider in prayer what practical steps are open to us as a parish to be faithful to the mission the Lord has given to each of. Deaths: We pray for Breda Murphy, Blarney and Pat McCarthy (nee Dineen), (Rockfort, Upton) who died recently. We extend our sympathy to their families. 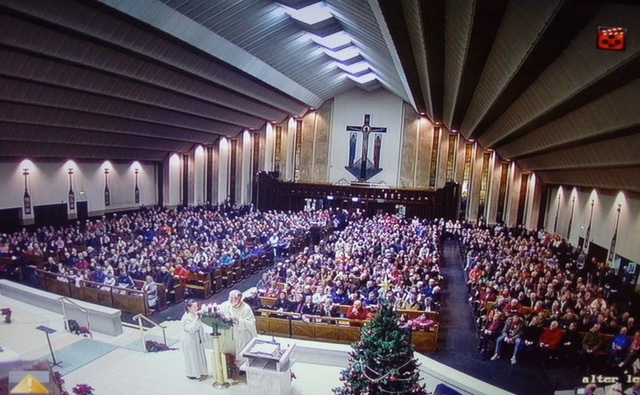 It has been a lovely Christmas, with great crowds and a great atmosphere during the Advent and Christmas Liturgies. The joyful preparation, anticipation, participation, celebration and sense of community were inspiring, we thank all who participated. Fr. Kerry joins me in thanking you for your Christmas wishes and your generous Christmas offerings at the Christmas Eve and Christmas Day Masses, and we appreciate your encouraging words. As we begin the New Year, we pray that 2019 will bring us many blessings. Saturday 5th January after 10.00 am Mass. 2019 Parish Calendars are available at the back of the church. Please consider taking one for a housebound neighbour or friend. It would be great if the area collectors could help to distribute some as well, there are additional supplies in the Sacristy. Many thanks. Many thanks for your generous contributions. Envelopes are available at the back of the church for those who did not receive them. Anam Cara Cork, the organisation that supports bereaved parents is holding a Parent Evening on Wednesday, January 2nd in the Clayton Hotel, Silversprings Cork commencing 7.20 pm. www.anamcara.ie for further information or 085 2888 888. Br. Andrew Hickey, Presentation Brothers Maiville, is an experienced Alpha leader and has agreed to lead our Parish Alpha Course beginning at the end of January. Explore: life, faith, meaning. Turner’s Cross Parish Alpha 2019 starts on Wed. 30th January. We want to invite you to try Alpha with us on Wednesday evenings from 7.30 pm to 9.00 pm at the Parish Centre here at Christ the King Church. This session caters especially for young adults (20s – 30’s), but all are welcome regardless of age. Every session begins with some hot food – so come along on the first evening and see what you think! Each Alpha is limited to 20 people. A 10 week experience covering such topics as Who is Jesus? Why did Jesus die? How does God guide us? and Why and How do I pray? Alpha is relaxed, non-threatening, low key friendly and fun. Alpha can help you to deepen your relationship with the Lord. the Father, the Son, X and the Holy Spirit. Peace be to this house! Bringing peace is central to the mission of Christ’s disciples. That peace is offered to all those men and women who long for peace amid the tragedies and violence that mark human history. The “house” of which Jesus speaks is every family, community, country and continent, in all their diversity and history. It is first and foremost each individual person, without distinction or discrimination. But it is also our “common home”: the world in which God has placed us and which we are called to care for and cultivate. So let this be my greeting at the beginning of the New Year: Peace be to this house! We are a redeemed people, and the work of our redemption began with the birth of a baby in Bethlehem. 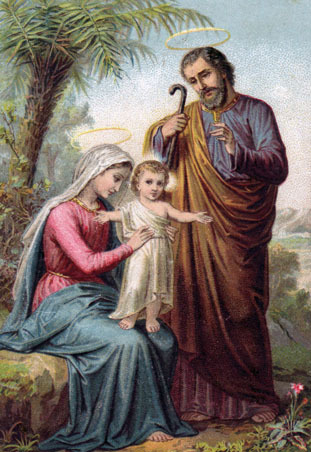 Simple beginnings, no one noticed Joseph and the young expectant mother who had travelled a long journey from Nazareth. No one noticed them and there was no room for them. At a salvation moment of universal importance the mother gave birth in a stable and laid her baby in a manger, a feeding trough. They were alone and lonely in the town of David as the son of David was born, no barriers between this baby and the messy realities of the life of the poor. Then, in the darkness of that holy night, the glory of God shone around a group of lowly, despised shepherds, men not allowed even to enter a synagogue, and God’s message was entrusted to them: today a saviour has been born to you, he is Christ the Lord. For us too a light shines at Christmas, in the dark moments of our lives, and the people who walk in darkness have indeed seen a great light. May we take notice of that light and learn to experience the joy of the message of the angels and the joy of the Gospel of Christ. May we hear the angels sing: Glory to God in the highest and peace on earth to those of good will. Fr Kerry joins me in wishing you all a Happy Christmas. We welcome those who are home for Christmas, may you enjoy these special days with your loved ones. We pray for those who can’t make it home and for their families. We remember those who have been bereaved, your loved ones are remembered in our Masses. Thanks to everybody for all your support, we wish you peace, health and blessings throughout the year ahead. 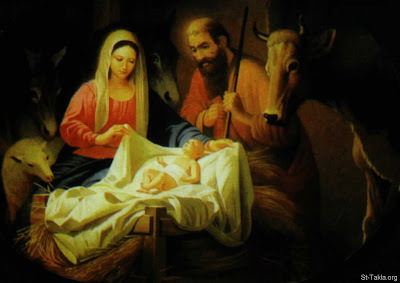 Christmas Masses: Christmas Eve: 6.00 &10.00pm. Christmas Day: 9.00 am, 10.00 am &12 noon (note extra Mass at 9.00 am). St. Stephen’s Day Mass at 10.00 am. our world bringing us gifts of peace and joy. remember those who are hungry. Be with our loved ones away from home (pause). We remember our departed loved ones (pause). light, now and in the days ahead. We thank you Lord for all your blessings. Amen.